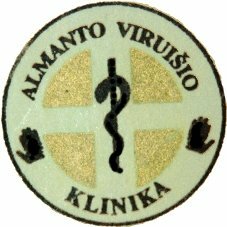 Medical/osteopathic Doctor Almantas Viruisis is available quarterly in Dervish by appointment only. He is available for basic examinations and informal chats to answer any questions or discuss suitability of osteopathic treatment at minimal charge. Almantas treats the individual, not the condition. He treats patients with a wide range of problems from head to toe. Some patients only need a single treatment, others will benefit from a course of treatment and others see their osteopath periodically to manage problems over a longer term. Osteopathy student and graduate of French School of Osteopathy which is run buy D.O., M.R.O. (F) Roger Caporossi and D.O., M.R.O. (F) Francis Peyralade. Trained by Viola M. Frymann D.O., F.A.A.O., F.C.A., California, USA. Holding a personal medical practice center, which was established in 1993. Professional sport teams doctor in fields of which include national and international basketball, football, rugby and other sports athletes. “I would like to say a big Thank You for giving Osteopath Almantas Viruisis the space to carry-out his healing which has made such an impact on my life. I have had just two sessions with Almantas and I feel so well! A quick background to why I needed an osteopath to begin with. I have always led a very active life, running/hill -walking were just a couple of my pursuits. Just over a year ago I started to suffer with really bad pain in my left leg. At first I thought it was just a muscle I had pulled while out walking. I found that if I walked for more than ten minutes I was in agony with the pain and it just got worse. After trying every alternative treatment including visiting an osteopath here in Cork I decided to give in and go to my G.P. She sent me for an xray, and the following week I was told I had osthoarthritis in my back and left hip. I was absoultedly gutted as I always gave a great amount of time and energy to my physical health. My GP gave me a prescription for painkillers and told me that when I could not stand the pain she would send me to an orthopedic surgeon for a hip replacement. This prognosis just made me more determined to seek other options. I tore-up the prescription as I did not want to take any prescribed medication and began my search for alternatives. I found who I believed at the time to be the best osteopath in London (until I met Almantas) where I underwent six prolotherapy injections into the hip. These injections (a totally natural remedy) relieved my pain some what. However, I still did not have complete mobility untill I had my sessions with Almantas. After just two sessions I am able to walk around The Lough my first time in over a year! I have been able to sleep at night (before I would wake with pain.) I can now bend and my flexibility is just amazing. I am blown away with how much better I feel. My body feels like Almantas took me apart and put me back together again, only with everything in the right place this time! He told me I had a blocked hip which no chiropractor or osteopath had ever told me. Almantas is the most professional, caring, knowledgeable and intuitive osteopath/healer I have ever encountered, and I have been to quiet a few! He is a true healer in every sense of the word. I feel so blessed to have encountered such an amazing man . I feel like I have gotten my life back and it is all down to my two sessions with Almantas”. “I have had a creacking right knee for as long as I can remember myself. There was always something not quite right with my right leg. As I was coming into my late 30s and hitting 40 I could feel the periods of stiffness and pain in my right leg getting longer and longer. At times I could barely step on that leg for days. I was starting to think and accept that my years as a ski-instructor were starting to take their toll. And then I went for a session with Almantus … and my creacking weak knee became history! In ONE session he resolved a problem I’ve had for at least 25 years. He was able to show me that the “weakness” in my right leg was due to a missalignment within the hip joint. Walking out after that first session I simply could not believe the lightness in my step. I went for one more session during his next clinic in Cork, as some of the misalignment was beginning to happen again. I guess something in me could not begin to believe that a condition I have had for 25 years could disappear in one hour. So he re-aligned me again, explained to me again exactly what the cause of my structural condition was and recommended exercises to help my body re-learn and get used to correct alignment again.